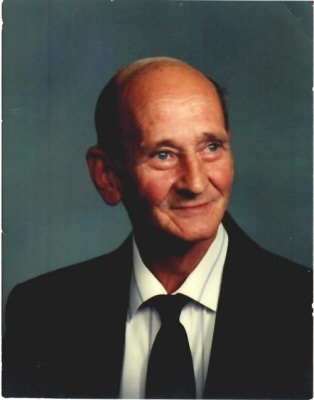 Beverly - Frank J. Roberts 89, husband of the late Ila L. (Small) Roberts, died Thursday, April 11, 2019 at the Kaplan Family Hospice House in Danvers surrounded by his family. Born in Freetown, MA, he was the son of the late William and Ethel (Sisson) Roberts. Mr. Roberts had been employed for forty five years as a caretaker for the Casey Estate in Marblehead until the time of his retirement in 2002. A longtime resident of Beverly, Frank enjoyed many years at Totem Pole Camp Ground in Freedom, NH where he was a member of the Totem Pole Horse Shoe Club. He often spent time playing pool and enjoyed fishing. He was a loving father, grandfather, great grandfather and friend who will be missed by all who knew him. Surviving him are four daughters, Louise Lucas of Danvers, Beverly Fielding and her companion, Jack Donahue of Peabody and Joan Fall and her husband, Stephen of Beverly and Linda Medeiros and her husband, Antonio of New Hampshire, one son, Joseph Roberts and his late partner, Robert Burns of Peabody, eleven grandchildren, Keri and Kristen Fielding, Antonio and Kevin Medeiros, Jack and Ben Donahue, Matthew Lucas, Jessica Jordan and her husband, Steven, Stephen Fall and his wife, Susan, Shannon and Joshua Roberts, six great grandchildren, Anthony Dixon, Miles Bernhadt, Sofie Matteo, Betty and Russell Jordan and Delilah Fall and several nieces and nephews including Donna Reid of Beverly who was like a daughter to Frank. He was also the brother of the late Eva Ricci, Edna Minchello, William, Milton and George Roberts. His funeral service will be held at the Dane Street Congregational Church, 10 Dane Street, Beverly, Monday, April 15, 2019 at 1:00 p.m. Relatives and friends are invited to attend. Contributions may be made in his memory to the American Cancer Society, 30 Speen St., Framingham, MA 01701. Information, directions, condolences at www.campbellfuneral.com. http://www.campbellfuneral.com. To send flowers or a remembrance gift to the family of Frank J. Roberts, please visit our Tribute Store. "Email Address" would like to share the life celebration of Frank J. Roberts. Click on the "link" to go to share a favorite memory or leave a condolence message for the family.